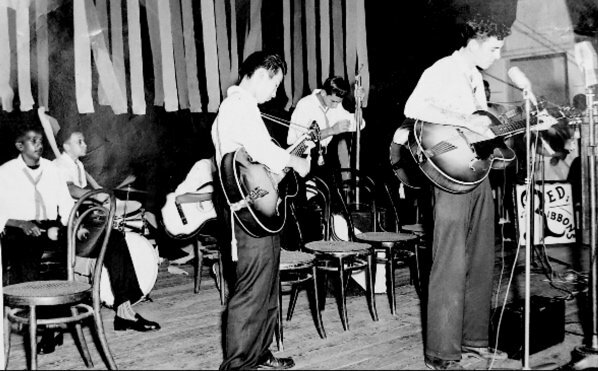 Errol Timbers formed his first band in 1958. It was called the Red Ribbons and was made up of a mixture of different cultures, Chinese, Tongan, Samoan, Indian and Gilbert Is. Red Ribbons with Errol out front, taken in Fiji 1959. 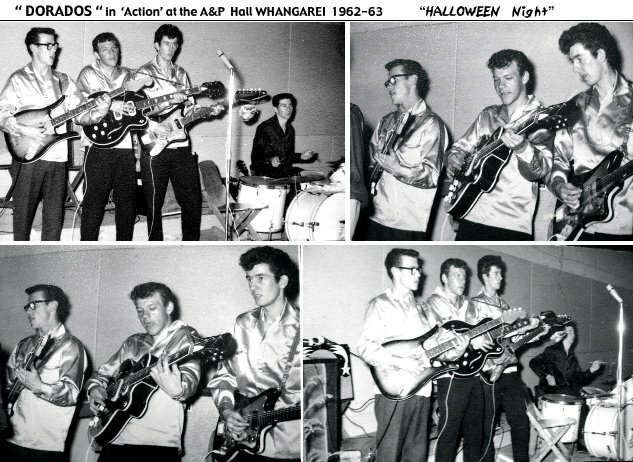 In 1960 he joined Ian Lowe and the Tornadoes, playing in the Auckland district, and stayed with them until they folded at the end of 1961. At this time he formed his own band The Dorados. It was originally formed under the name Bob Williams and the Dualtones, and then changed to Danny and the Dorados. Danny was actually Bob Williams, who also recorded under the name Cliff Williams for a short time. 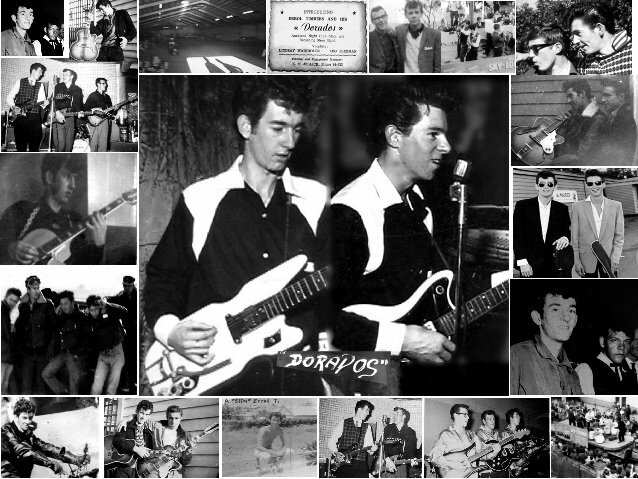 The name Dorados, came about at the time when Errol accepted a gig at the Bel-Air in Queen St Auckland. It was long hours and seven days a week. Bob Williams, could not work these hours so he was replaced by Lindsay Wainhouse. Peter Skerrett was on bass for a little while, then he was replaced by Ian Butchard, who was then replaced by Leo Sleeman. On drums at the Bel-Air was Tiger Purdy for a while, before he was replaced by Paul Linklater. Tiger Purdy had previously played with Jeff Bolton in the Commodores. 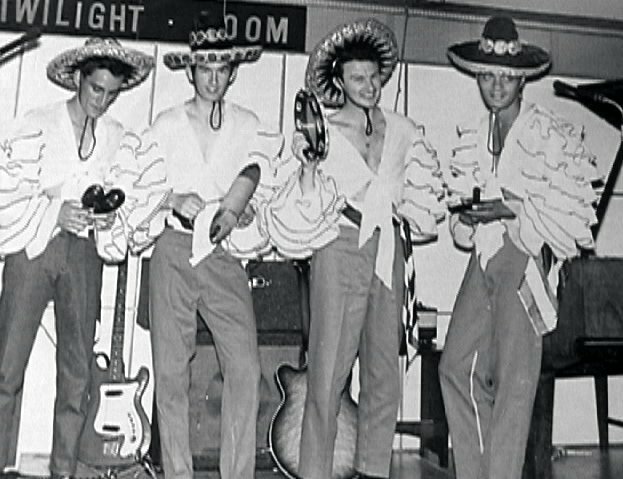 The Dorados had a very popular following and quite a few other muso's from other bands used to come down and 'sit' in and they would 'jam'. 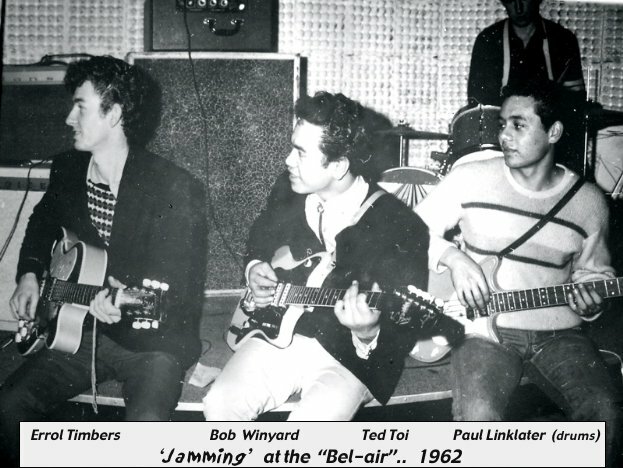 Among those to jam were Bob Wynyard and Ted Toi from the Sundowners, who were playing close by at Jive Centre (Trades Hall). Dave Henry, also from the Sundowners, jammed and really got stuck into his songs, "Tutti Fruiti", "Ready Teddy" and "Walkin' The Dog". Ray Woolf used to come down and do a few songs whenever he was in town. Joy Yates was a regular, as was Steve Ellis, who they cut a demo with at Mascot Studios. Graeme 'Trixie' Willoughby, also from the Sundowners, would also always sit in for a bracket or two. L to R: Paul Linklater, Errol Timbers and Leo Sleeman. An interesting memory for the band was when drummer Paul Linklater actually went blind for two weeks, but still played every night. The patrons all used to think it was an act, but he lost his sight completely from a blood clot in his main optic nerve. He regained his sight gradually one night when they were returning home from one of the ships that was in port at the time. They were walking up Queen St and he started to see all the lights from the shops. It was a great moment for the band. 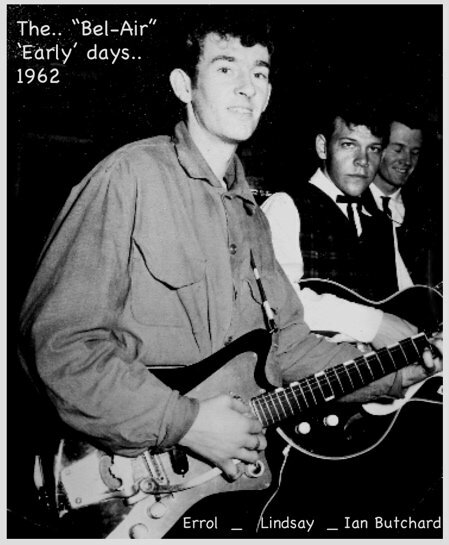 Late in 1962, Errol, Lindsay and Leo, travelled up to Whangarei by the "Mail Bus" on a Saturday night, meaning to return to Auckland again in time to start playing on Monday night. However, they were late returning and got the sack from a very irate Burt Rogers, manager of the Bel-Air. They ended up getting another gig at the "Crazy Twist" nightclub. 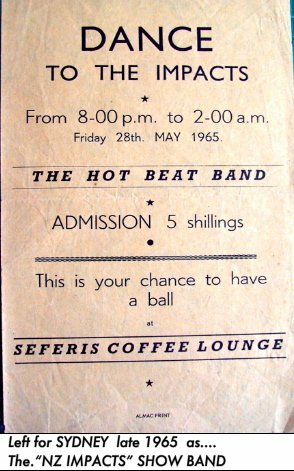 While playing there they were offered the job of "House Band" for a tour of the North Island with Benny Levin's "Gigantica 62 Twist Pop Hit Parade" stageshow. The line-up for the stageshow was Peter Posa, Toni Williams, Lou and Simon, the Hi-Brows, Kim Krueger and Orchante. The house band was billed as Errol Timbers and the Dorados with "Handsome Teenage Singing Sensation Peter Skerrett and "King Of Twist" Lindsay Wainhouse and Bruce Mohart on drums. 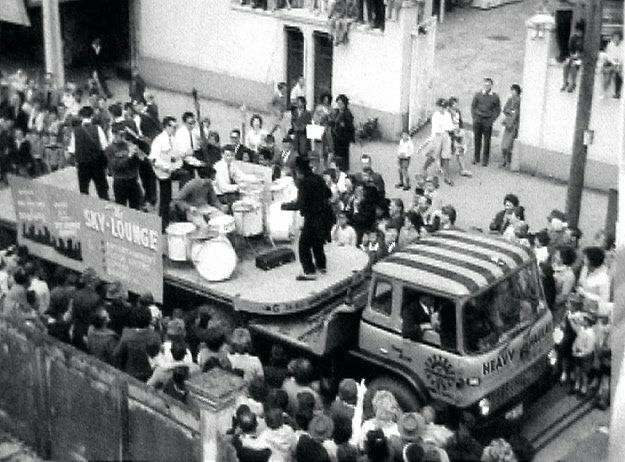 After the tour, the group travelled back to Whangarei for a gig at the "Sky-Lounge" and many other engagements as well. They also played on stage at the picture theatre, before the movie "The Young Ones". They departed Whangarei a year later. 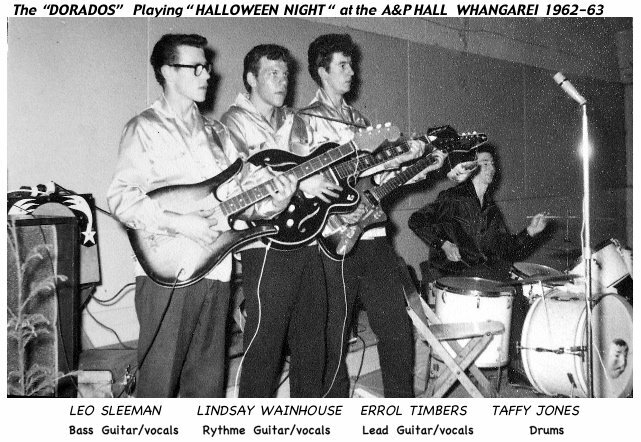 On returning from Whangarei, Errol and Leo Sleeman were asked to join Terry Dean and the Nitebeats. Following this Errol formed another band called the Chevronaires. They consisted of Errol on rhythm guitar, Johnny Walker, from the Keil Isles, on lead guitar, Leo Sleeman on bass guitar, Clive Cavanagh, from the Sundowners, on drums and Dave Henry on vocals. They had a residency of eight months at the "Picasso". After that they moved to "Seffaris Night Club" in Onehunga. By this stage, Dave Henry and Johnny Walker had gone, Errol taking over on lead guitar, and Patrick Harrison coming in on rhythm guitar. Vocals were covered by all members. 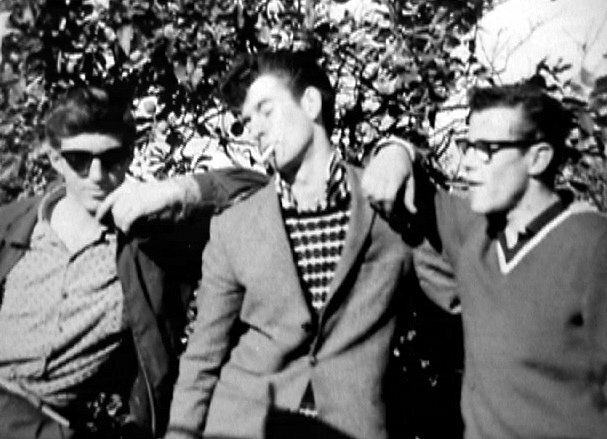 From here, Clive, Leo and Errol landed a gig in Sydney at the Graphics Arts Club, 3 to 5 days a week. Leo left after a few months and was replaced by Gogi Walker, from the Quin Tikis. They called themselves the New Zealand Impacts Show Band. 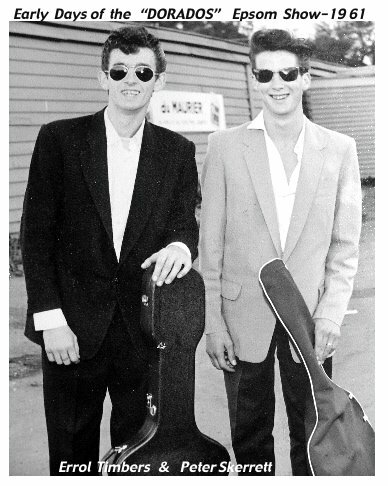 Terry, from the Nitebeats, came to Sydney in 1965, and joining Errol, they worked as a duo. They landed a gig doing 'spots' at other clubs, but Terry got homesick and returned to New Zealand. 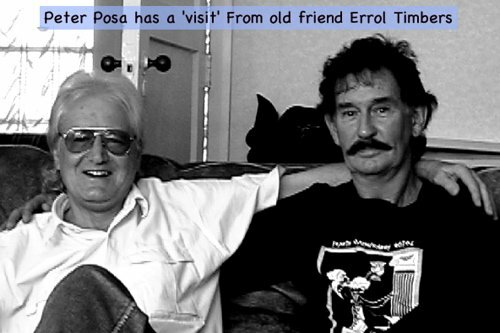 So Errol continued with the NZ Impacts until late 1966 and then landed a contract job in Norfolk Island as the Kingfishers at the Kingfisher Airtel, with Gary O'Connor and Don Bruce (Bridge City Jazzmen). After Norfolk Island Errol hooked up and played guitar with Bill Wolfgramme for a few years. Later he formed another band with old Dorado members, Leo Sleeman and Patrick Harrison, and on drums Nooky Stott, from Larry's Rebels, and called them the Cabaret Quartet. 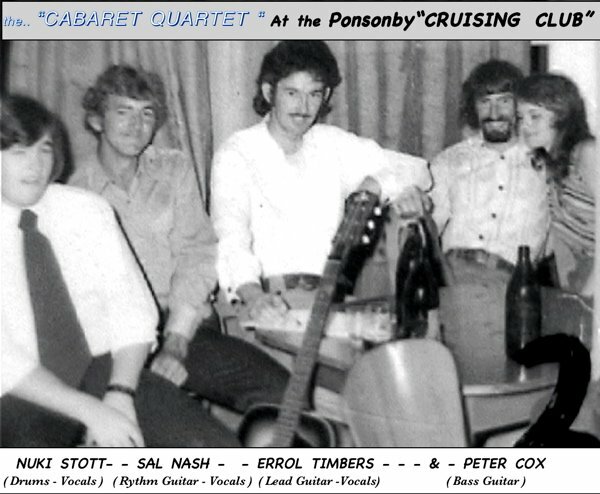 Sal Nash and Peter Cox became later members of the group. Later Errol changed the name to the Dollar Bills. They played at golf clubs, sailing and football clubs. They also did a lot of 21st's and weddings. Come the 80's, Errol played bass guitar for country singer John McCall for two years. Late 80's he moved to Northland, met up and jammed with Ray Woolf and friends and did a lot of gigs with a band called Steppin' Out. He moved to Queensland in 1989 and landed a gig playing bass guitar with a band called Impact and did the pubs and clubs around Brisbane for a while, but a year later after major back surgery, which resulted in him being unable to do any further stage work, he set up a home studio, where he has written a lot of instrumentals and a few songs along with his wife Judith. Together they have become involved in photography and have put the music to the photos and set up a website of slideshows at www.jaetspectrums.com. I thank Errol very much for sharing his story and photos with me.